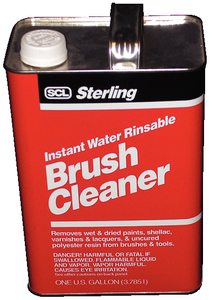 Removes dried paint, shellacs, varnishes and lacquer from neutral and nylon brushes. Water rinsable. Contains lanolin. Not used for synthetic brushes other than nylon. Does not contain methanol alcohol.